When you read the title, did you think to yourself, “I’ve tried everything to become more productive and nothing seems to work”? You may be a little skeptical. I get it. It is not easy to manage your ADHD. But if you are reading this you have not yet dismissed the possibility. Like you, I wanted to learn how to manage my ADHD so I can be successful. For me, success meant having a profitable business and balancing that with the needs of my family and my own personal needs. I needed to focus my attention on what was important. I literally couldn’t afford to be all over the place. And the other productivity systems just did not work for me because they did not take into consideration how I operated. Through formal training, experience, practice and support, I’ve learned how to work with my ADHD in order to be successful in my business and balance my other responsibilities. As a certified ADHD Coach, I’ve been able to help my clients do the same. And I’ve developed this self coaching guide to share with you the strategies that will allow you to use your strengths and work with your ADHD in order to reach your goals. I am stunned at the complete, well done, well researched book that you have shared with us. I have learned a lot about ADD reading it… It does take someone of your expertise to understand how to coach ADD clients. You feel like you are all over the place. Whether it is in your personal life or professional life, you just can’t seem get things done in the way that you would like. In fact, you might spend so much time trying to just keep up with what you need to do, you don’t have time to yourself. To do things that you enjoy. And often when you are getting things done, it is at the last minute. It feels like one fire drill after another. You are not alone. These are common challenges for adults with ADHD. And you may have tried to manage these challenges before, but experienced little success. By learning specific skills that take into consideration your ADHD, it is possible to manage your challenges and reach your goals, both personal and professional. I have learned several strategies for dealing with the challenges I face and have become an independent goal setter, thanks to Marla. Marla is a time management guru, to be sure. 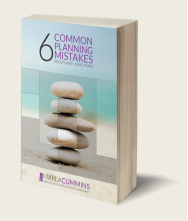 Benefit from learning the same strategies that I use with my clients. Discover why you procrastinate and learn how to stop so you can reach your potential. Learn why it is so hard for you to focus and how to follow through on what is important to you so you don’t miss opportunities. Find out how to reduce your distractions and so you can have more time to do what you want. Become better skilled at prioritizing your task and objective so that you are sure your focusing on what is most important. 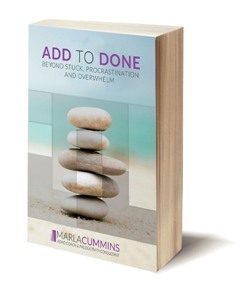 Discover how to avoid common productivity pitfalls that other Adults with ADHD experience. Learn how to be productive in a way that works with your ADHD and not against it. And create an “ADHD Friendly” roadmap to your goals. Your e-book is amazing! It is the reason I have contacted you. You can learn to thrive with less effort. This book is perfect for people who don’t know where to begin because it is a step by step guide. It is also well suited for you if you have not succeeded before because the book will help identify why you may have failed and how not to make those mistakes again. Strategies on how to use your strengths and work with your ADHD in order to reach your goals. I’ve been gathering what I want to call “The Best of the Web” to get up on our site. In my opinion, your ebook, ADD to Done…offers the best value of all self (or peer) coaching tools I’ve reviewed. Ready to buy the book for $12.95? Of course. If within 30 days of buying the book, it does not seem like it will be of value to you, I will return your money. And you can keep the book. It is that simple.